Stravinsky | Music Matters | Because it does. Doesn't it ? Our resident ensemble, CantiaQuorum, returns to Colyer-Fergusson next week for the first of two concerts this term. Next Wednesday’s lunchtime concert sees seven members of the group in a programme including Saint-Saens’ Septet in E flat major and Stravinsky’s Suite Italienne, in which Stravinsky returned to his ballet Pulcinella, which itself re-imagined music by Pergolesi. Admission is free with suggested donation of £3; more details online here. 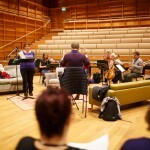 Formed from top-flight professional musicians based in Kent but often to be seen free-lancing with several London orchestras, Friday night’s concert combined Stravinsky’s morality play with a second half of Walton’s Facade, complete with guest narrators. Posy Walton grinned and guiled as the oily, preening Devil, as well as giving robust earthiness to Joseph in the Stravinsky, and clearly relished switching between characters. The ensemble returns in February, this time with a programme of Baroque music. 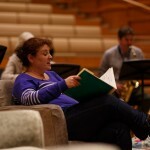 Thanks to Matt Wilson for the photographs from the afternoon rehearsal. Tell me about the name! 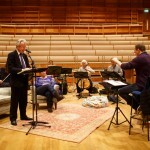 CantiaQuorum – The ensemble has its roots in Canterbury. I was keen that the tag for our ensemble should reflect the gravitas inspired by the city’s immense historical importance. From the late 2nd Century, Durovernum Cantiacorum was the civitas capital of Kent. The Roman settlement developed around AD43. A twist on the original Roman name for the city brought me to CantiaQuorum. What’s the idea behind setting up the ensemble? I have lived in East Kent for 10 years and worked as a professional musician in London throughout. As much as I love the commute (!?) 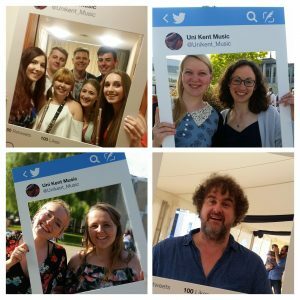 and London (in some ways) I was desperate to show the denizens of Canterbury that, well, most of the wonderful musicians they travel to see in London orchestras, actually live in Kent! 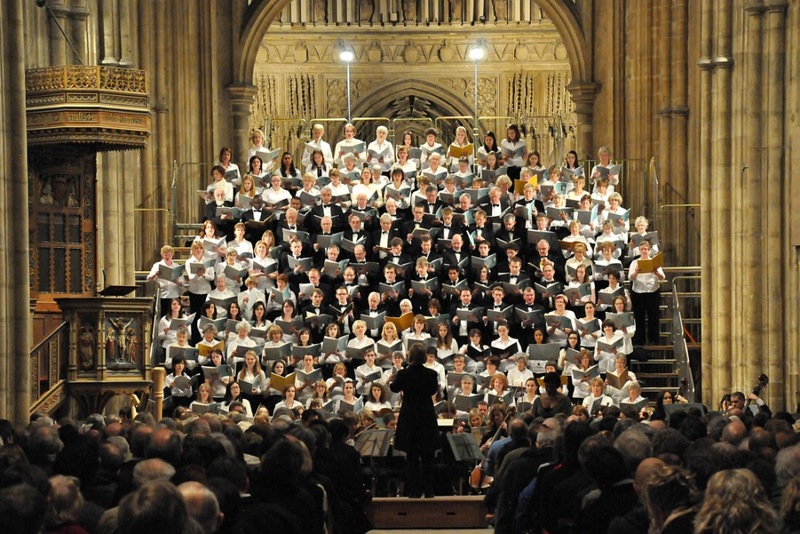 I am very proud to say that we have the very best of the capital’s musicians in our Canterbury ensemble. 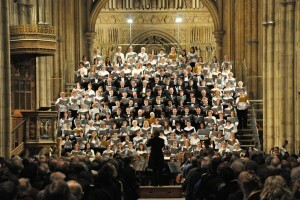 All of our members are orchestral players and soloists of the highest order. But not at the Proms, playing Rule Britannia, or on Saturday night telly backing Strictly hopefuls, but here, in the astonishing concert-hall right next door playing fantastic and fun programmes of great music. And they are yours to get to know and enjoy! What makes this ensemble distinctive? CQ has a unique make-up. They are all my friends. That’s essentially it. But, luckily for you I’m terribly choosey. And very lucky. 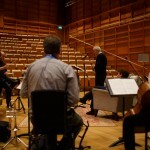 You’re launching your residency with Walton and Stravinsky, which looks exciting! Why that programme? When I was 16, and at the Junior department of the Royal Academy of Music, a few friends and I decided to put on a concert! Facade with Posy Walton in fact. This concert, a sell-out at Lauderdale House in Highgate, London was formative in my outlook as a musician. We had a ball basically!..and lots of rehearsals. It’s a seriously tough piece! We were so intent on nailing Facade that it was literally an hour before the concert that we realised we needed another piece for the programme. Dan Bates, another friend of ours was doing a short programme of oboe pieces in the first half but there was definitely something lacking. Backstage with little time to discuss we decided to play an improvised work for the Facade ensemble. Infant became a 3-movement improvised work. We did it. And Facade was greatly appreciated! As for the Stravinsky. I was lucky enough to play the Soldier’s Tale in a unique production at the Old Vic in 2006. The production was a joint effort between the Old Vic and the National Theatre of Bagdad!? And the text of the piece was presented in both Farsi and English. Hence, lots of rehearsal. And that before the director had decided that the musicians should play the entire work from memory! Totally incredibly. The conductor, Robin O’Neill, was thankfully fantastic, and extremely patient throughout. It’s a wonderful piece, and I feel extremely qualified to say that. So do come along and be blown away by one of the great composers of all time. 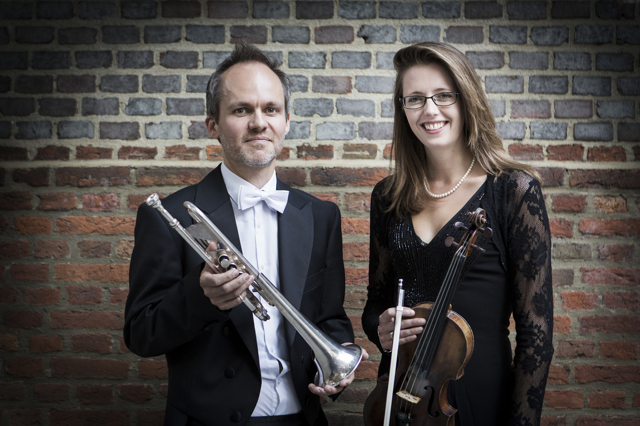 CantiaQuorum bursts into life with a free lunchtime concert on Wednesday 5 November at 1.10pm, with the formal evening concert launching the ensemble on Friday 14 November; more details about both events here. Exactly one hundred years ago tonight, Stravinsky’s The Rite of Spring was premiered at the Theatre du Chatelet, conducted by Pierre Monteux. Here’s part of ‘Riot at the Rite;’ a BBC dramatisation of events surrounding that first, notorious performance, with Stravinsky in a rage at the orchestral rehearsal. With less than thirty-six hours to go before the Chorus and Orchestra storm the Cathedral (musically, that is) for the annual Colyer-Fergusson Concert, all systems are powering ahead. Final rehearsals this week, including tonight, before rehearsing in situ tomorrow, when the Chorus are reminded of the literal heights to which they can ascend on the tiered choral seating, and the Orchestra remember just how close they will be sitting to the audience. With a battery of percussion required for the Stravinsky ‘Firebird Suite,’ there’ll be an even bigger orchestra than usual. Combined with the mighty Meistersingers Overture by Wagner and Mozart’s sublime Requiem, it promises to be a titanic occasion: see you there! Be My Guest, Keeping It Real: reviews. Be My Guest: an occasional series featuring guest post and contributions. 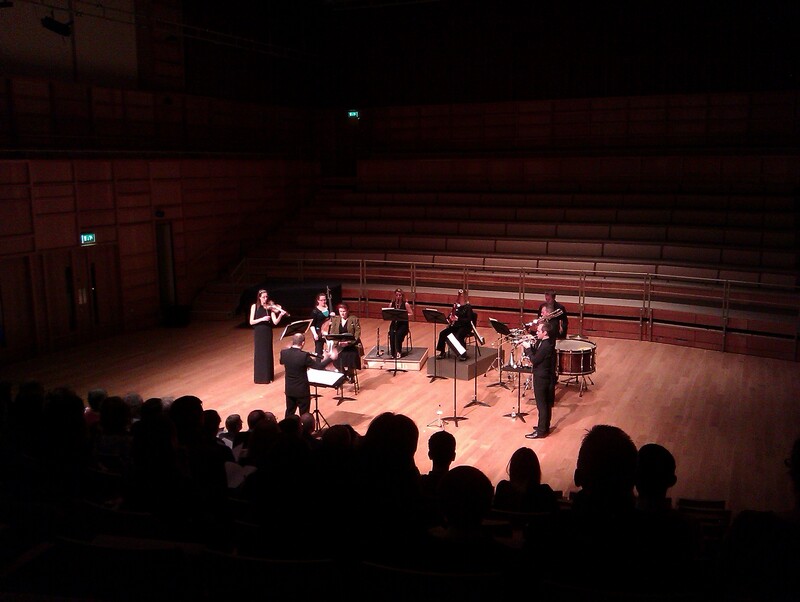 This week, third-year student Andrew Bailey reviews the Rite of Spring lunchtime concert. The reputation of Stravinsky’s magnum opus had clearly preceded it, with a packed Gulbenkian visibly demonstrating the esteem that ‘The Rite of Spring’ continues to hold with audiences today. Sitting with a clear view of the grand piano and the score, I wondered how Peter Hill and Benjamin Frith’s interpretation of the infamous score would challenge my own understanding of it. Having worn out three copies of “Fantasia” on VHS when I was a toddler, The Rite and Stravinsky’s work has always continued to fascinate me and I have continuously endeavoured to experience its different adaptations. As my old music teacher used to recount: “Every time you listen to The Rite, you always discover something new; be it a note, a motif, or a new feeling”. She has yet to be proved wrong. Prior to the performance, Hill presented a concise yet detailed synopsis of the piece’s origins and I was glad that he took care in running through the “plot” of the piece. What was clear from his emphasis on its genesis and the difficulty in rehearsals was that Hill wanted us to appreciate the piece as Stravinsky would have first written it and how innovative it is musically; discarding our memories of the spectacle we now associate it with. It was then that the theatre went silent; a soft C was then heard, almost floating its way around the room, as the infamous opening began. This Lunchtime Concert definitely demonstrated the musical complexities of The Rite and the four hands arrangement is certainly the optimum version to take notice of if one wishes to examine Stravinsky’s musical innovations. Is it now my favourite arrangement though? No. Not that I believe Hill and Frith did not play well enough; on the contrary I think they performed outstandingly! 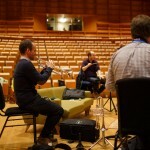 However in my opinion, The Rite should be as much a spectacle as it is a musical innovation. As Hill pointed out in his synopsis, Stravinsky remembered the violent image of the Spring as the ice would crack open around St Petersburg; he dreamt the disturbing image of a girl dancing herself to death. The notorious riot at its premiere was as much a reaction to Vaslav Nijinsky’s controversial choreography, as to Stravinsky’s score. Don’t get me wrong, I don’t believe the piece is not ‘innovative’ enough; I will happily acknowledge and rant about how it is a landmark piece in the history of music. What I want to emphasise it that I personally believe the piece works best with a spectacle to watch. In Sir Simon Rattle’s documentary on the piece, ‘The Augurs of Spring’ and ‘Sacrificial Dance’ are performed whilst images of a maiden dancing through a forest are shown, consequently making the piece more haunting in my opinion. There is even some filtered footage of the First World War thrown in to demonstrate how the violence of the work was reflected the following year with the outbreak of the conflict. Although a complete different interpretation of Stravinsky’s intentions (as well as harshly cutting out and editing the various sections all over the place) I still think that watching The Rite segment in Fantasia is fascinating and the fight between the Stegosaurus and the Tyrannosaurus heightens the tension and excitement of “The Naming and Honouring of the Chosen One” movement. Overall, a great Lunchtime Concert which will, I feel, be talked about for years. But if you want to experience more Stravinsky before the Colyer-Fergusson Concert on March 12th, where “The Firebird Suite (1919 Version)” will be performed by the UKC Music Society Orchestra, then I cannot recommend highly enough watching The Rite in its original ballet form (choreography, sets, costumes etc) to truly experience its spectacle. 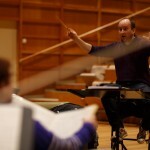 Four-hands, one piano, one twentieth-century masterpiece ; internationally-acclaimed pianists Peter Hill and Benjamin Frith unleash Stravinsky’s monster, The Rite of Spring, at the Gulbenkian Theatre. 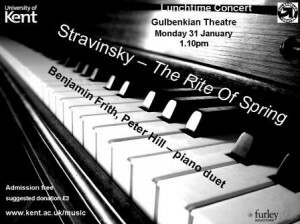 The first of this term’s lunchtime concerts on Monday 31 January in the Gulbenkian Theatre is an unmissable occasion: two of the country’s leading pianists grappling with Stravinsky’s notorious, barbarous tour de force. More commonly heard in its orchestral incarnation, the piece caused a scandal at its premiere in 1913; this is an opportunity to hear it in its piano-duo arrangement, which loses none of its vibrantly destructive energy. The concert starts at 1.10pm.Admission free, suggested donation of £3. See the department’s on-line events diary for further details here. 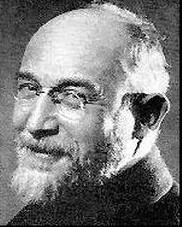 In 1917, amidst the latter stages of the horrors of the First World War, with the guns echoing over the disastrous offences in Ypres and Passchendaele, and the introduction of a new weapon by the British called the tank, Satie was writing his Sonatine bureaucratique. Representing a return to the civilised values of the Classical period (and anticipating Stravinsky’s much-vaunted neo-Classical phase by three years), the piece also confronts those same values head-on and takes them apart. The work is full of forbidden ostinati, passages of needless repetition, and juxtaposed blocks of material in Cubist fashion. All these techniques serve to undermine a Classical sense of order and organic unity, where material is unified through a system of related keys and formal principles. The piece parades a series of parodies and inversions of well-known Classical ideas, especially melodic material from Clementi’s piano sonata Op 36 no.1. Yet, as listening to the piece proves, it’s all done with a sound Classical sensibility; texturally, Satie’s evocation of the Classical piano sonata is rooted firmly in the appropriate sound-world. But other rules have been overthrown: there are no formal development or recapitulation sections, the system of related keys has been usurped, and the Classical sense of never repeating an idea in exactly the same way is confounded by blatant, almost defiant, passages of repetition. Composed in 1917, at a time when the rest of the world had gone mad with wholesale slaughter and mechanised forms of destruction, Satie’s evocation of the Classical period is a reminiscence of, almost a hankering after, an old order where unity and structure prevailed; at the same time, his usurping of its principles reflects the breakdown of society and its values which was going on around him: despite its apparent jocular tone, the shadow of the Western Front is never far away. A turn to neo-Classicism was on the cards musically for others: Stravinsky’s Pulcinella would not appear until 1920. Debussy’s re-appraisal of Classical principles in the very late set of instrumental sonatas, of which he only lived to complete three of a projected series of six, still had its foot firmly in the Impressionist world. Satie’s neo-Classical sonatina represented a much more deliberate assessment of Classicism’s sound as well as its forms. Of course, he had already taken on Mozart (and won) in his Tyroliene Turque written four years before, parodying Mozart’s famous Rondo alla turca. But his appraisal and ensuing dissection of Classicism is much more involved in the Sonatine bureaucratique; it may be poking fun at Clementi in a similar fashion to his earlier ribbing of Mozart, but this is much more serious. It’s not just about Clementi, it’s about the very essence of Classical values at a time when values seemed to be disappearing everywhere else. Eat your heart out, neo-Classical Stravinsky: Satie got there first.